Last week I went on a bit of a mission to collect scions of wood for the root stocks I've ordered﻿﻿﻿﻿. 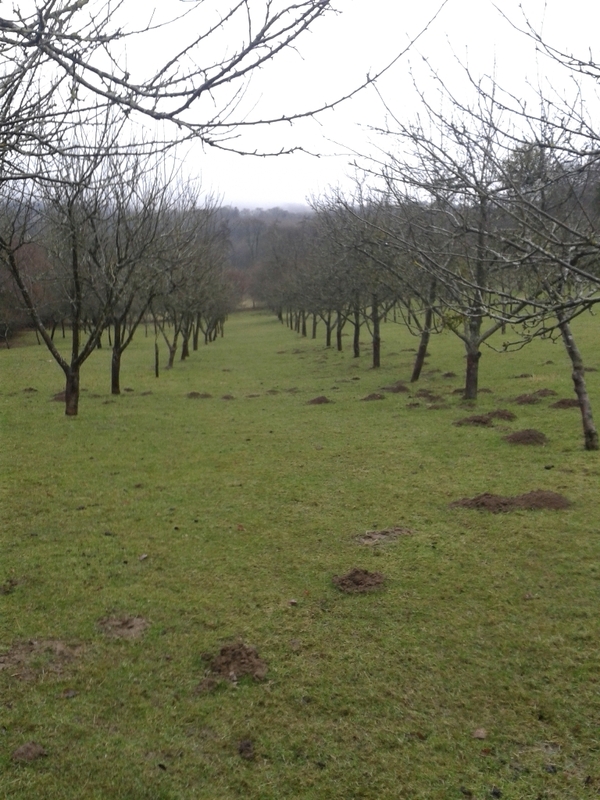 I rang a few local farmers that I know and managed to visit a couple of orchards. The first was in the next village to ours, I had done some work for the gentleman late last year and discovered a mutual love of apples. His orchard is only about 3 years old but he was more than happy to help and walked me round a on drizzly evening to cut a few branches off. The second orchard was in the same village as ours and resulted in nine varieties that I haven't already got. His orchard is around 20 years old and must be a picture when the blossom is out. The best bit really is being guided round the orchard and hearing the stories about the different varieties. The one tree, an Argile Grise, is a cider apple he called the "Upright French" as every year it sends up lots of vertical growth. 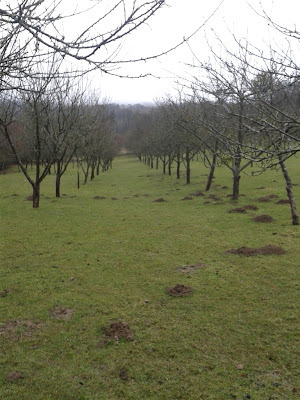 The second orchard I visited - I love walking round a place like this and hearing the stories about the different types of apples. Now all I need to do is wait for my root stocks to turn up. Although I'm tempted to order some more M25's (large trees) to maybe grow some cider apple trees in the hedge that borders the road. What does everyone think - should I try 25 grafts this year or buy 10 more for cider as well? I would do both as they take so long to mature compared to bought trees. I'm blaming you and Texan for the look my wife gave me when I told her I'd ordered 10 more trees!